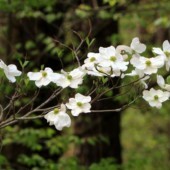 « Attend Eureka Springs’ Fleur Delicious Weekend! Come Out for the Eureka Springs VW Festival 2016! 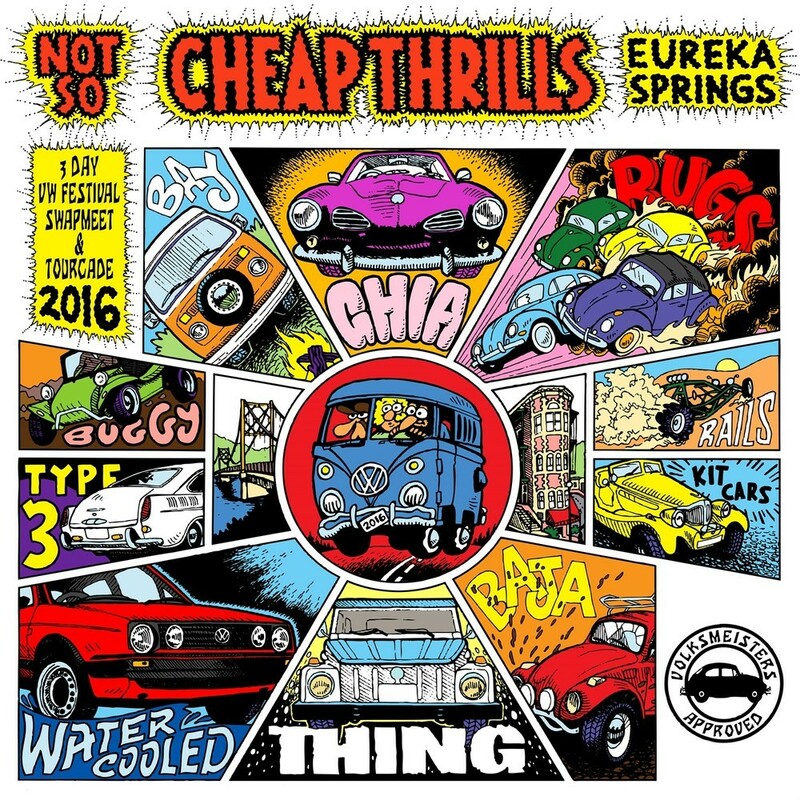 Volkswagen drivers and fans: get set for the 22nd annual, 3 day Eureka Springs VW Festival – scheduled for August 26th, 27th, & 28th, 2016! Hundreds of people gather each year in downtown Eureka Springs for the Eureka Springs VW Festival. A celebration of all things Volkswagen, the festival includes a swap meet, tourcade, parade, barbecue, and live entertainment. A standout for the festival is the Parade of Volkswagens. A Mardi Gras-like affair, the parade features lots of honking, with drivers and passengers throwing beads, candy, and other trinkets to the excited crowd. The parade, like the festival itself, includes lots of different types of VWs, old and new, with many tricked out in fascinating and creative ways. The Bbq Dinner will feature all the usual fare: delicious, hot hamburgers, hot dogs, beer brats, drinks, salad, ice cream, and more. The Swap Meet will have lots of Volkswagen accessories and parts for customizing and restoring your vehicle and is a very popular part of the festival. The Tourcade is a leisurely 2 or more hour drive through the Arkansas countryside. The first stop is at the Brighton Ridge Nursing Home On Huntsville Road. Then it’s off to the one-lane suspension bridge at Beaver, with a pot-luck snack break at a lakeside park. The tourcade makes another stop at Beaver Lake Dam. With every passing year, the number of VWs, swap meet vendors, and attendees grows. Don’t miss what is rapidly becoming one of the premiere events in the Midwest – the Eureka Springs VW Festival! 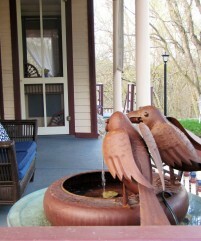 When you’re planning your Eureka Springs getaway, choose 5 Ojo Inn Bed & Breakfast. We offer historic charm, stunning gourmet breakfasts, and that famous Ozark hospitality. 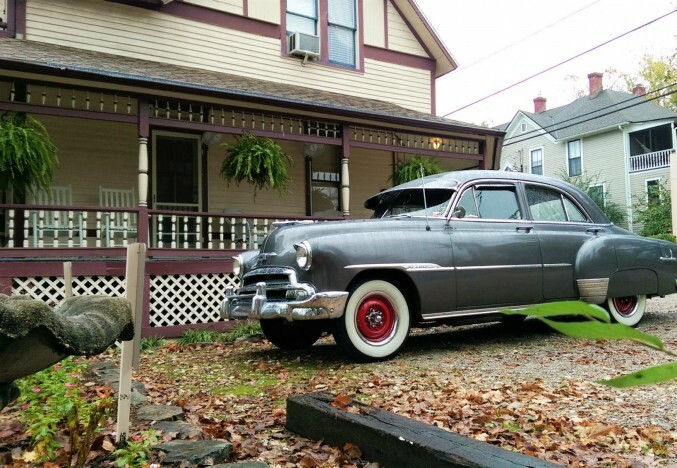 Our beautifully appointed, nine guest rooms are less than 10 minutes walk from the festivities at the Eureka Springs VW Festival. 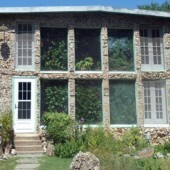 Book your stay at 5 Ojo, now – before we fill up!